We have all been duped by the proposal that media and information consumption will somehow fulfill us, inspire us, or energize us. But it doesn’t. In a certain sense, it’s like that feeling we get when we overindulge at the dinner table – we feel bloated, lethargic, dull. In this Information Age we are assaulted by an endless feast of data and content (some nourishing but others quite empty) which can lead to a paralysis of analysis, feeling discouraged, demotivated, and perhaps even depressed. How do we cope with this challenge? The secret is to offset consumption with creativity. Certainly, consumption is necessary for our existence. At a physical level, we need to eat. At an intellectual level, we need to learn and take in new information. 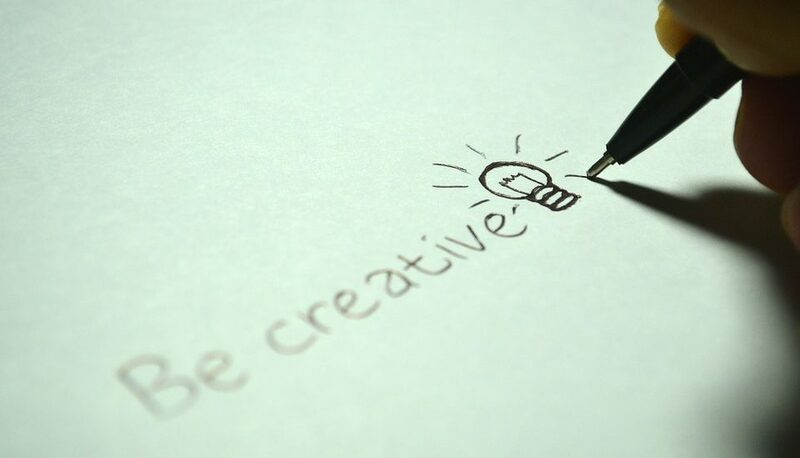 However, in our present age, we forget that creativity is also necessary for our existence and in fact, creativity is actually at the core of our fulfilment. Our very nature is meant to be creative in all facets of our being: in our thoughts, in the work of our hands, in art, in music, in problem solving, in leadership, and even in relationships. Creativity energizes. It restores. It gives life. It empowers. We are not all creative in the exact same ways, and what invigorates and refreshes us may differ dramatically. We might feel fulfilled by something like creating a meal from scratch or a plan for a hike, creating a new layout for our furniture at home or creating atmosphere at a party. Creating a song or a Lego set up with our kids, creating a life changing invention or a blog post, even creating new friendships by reaching out… the list is endless and different things appeal to different people. But we have all experienced how inwardly renewed and energized we become through the process of creation. Creativity involves dreaming and imagining possibilities in big and small ways and then lending our gifts and skills to bring these dreams into reality. Examine your lifestyle and become more self-aware of when you are a consumer and when you are a creator. Try something you have never done before that you have always wanted to do. Recall an activity of creativity from the past that brought you refreshment and renewal, and plan another opportunity to engage in it. Finally, it takes courage to be creative because we fear that being creative might result in failure. However, the presence of fear and occasions of failure may in fact be a component of our creativity. Ed Catmull, founder of Pixar Studios and author of Creativity, Inc, wrote, “Failure isn’t a necessary evil. In fact, it isn’t evil at all. It is a necessary consequence of doing something new.” So take courage as you foster creativity in your life. This week, how will you be a creator and not simply a consumer?